sterling silver jewellery york fashion jewellery Fashion Jewellery: Brooch Collection Sterling silver jewellery range of Fashion and Danon jewellery. After several years in the shade the Brooch is back. This year Prada and Balenciaga among the other major brands have strongly signaled their return on their runways and others such as Chanel and Marni, who have always had a soft spot for this uniquely versatile accessory continue to fly the flag for Brooches. So due to increased demand we have put together a growing our range of Brooches. We have Brooches that incorporate pearl, clear and coloured crystal and other gems and hopefully we'll have even more pieces to show you soon as this range grows. Every brooch in this range is made of nickel-free white metal alloy and is plated with rhodium, silver or gold. 100% hypoallergenic, all of our jewellery is ideal for those with sensitive skin. We recommend our fashion jewellery to everyone because they are beautiful, durable, easy to look after and affordable. 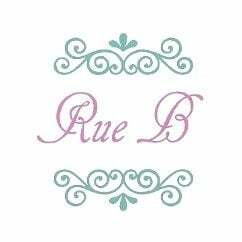 We will always ensure that Rue B fashion jewellery is suitable for even the most sensitive skin, and as such our fashion range is composed of hypoallergenic plain white metal alloys plated with silver, rhodium, gold or rose gold, and contains absolutely no nickel. Our entire range is affordable and is beautifully presented in our signature Rue B gift wrapping.